Practically since she arrived in Hollywood, Jennifer Lawrence has exuded the ultimate “cool girl” persona. The A-list actress made critically and commercially successful film after film, made years-long press tours look like fun, and, simply put, became the internet’s dream best friend. But it’s not all smiles and blockbuster films. Lawrence, who is the recipient of The Hollywood Reporter‘s Sherry Lansing Leadership Award, sat down with Oprah and opened up about life in the public eye, how she chooses her roles, and how difficult it was to read polarizing mother! reviews. After four Hunger Games films and a trio of David O. Russell collaborations, Lawrence teamed up with Black Swan‘s Darren Aronofsky for mother! a wild, allegorical psychological thriller, which also starred Javier Bardem, Michelle Pfeiffer, and Ed Harris. While the film was certainly bold, it struggled to find a place with audiences and critics. While on the press tour for the film, Lawrence commented on the divisiveness, telling reporters and TV hosts that “there was no middle ground” in that people either loved the film or hated it. 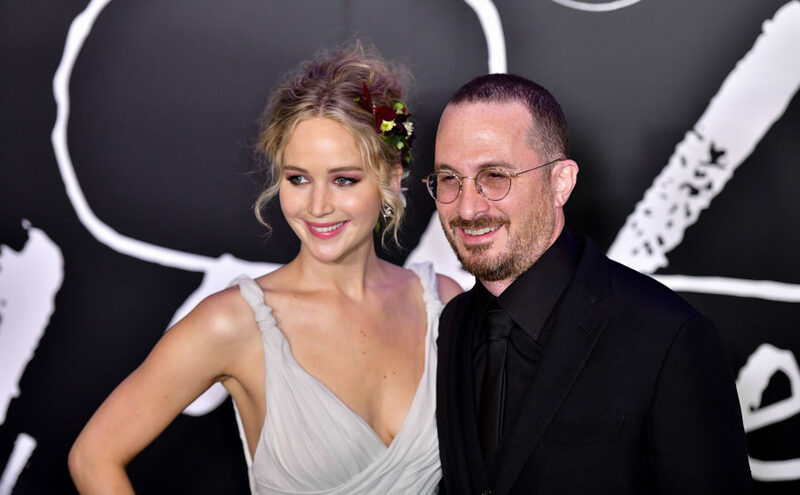 But speaking with Oprah, Lawrence revealed that reading terrible reviews was difficult because it broke her heart for her then-boyfriend Aronofsky — who wrote and directed the film. The actress revealed that at a certain point, she found herself seeking out the nasty reviews on Twitter — which was definitely not her best idea. "I read Twitter, and I was looking for bad mother! things. It was horrible. It was really bad," Lawrence said. "I loved this so much, and it just broke my heart, especially for Darren because he loved this [character]. And any time you're in a relationship, their pain is your pain." Lawrence also admitted to Oprah that after years of constant film shoots and promotional tours, last year, the insecurity and fear that come with being a celebrity — and the internet’s current (but ever-rotating) BFF — finally hit her. "I had been climbing and working and fighting, and I remember last year just getting hit with fear. All of a sudden it was, 'They're going to get sick of me,'" she said. "That's when all my insecurity came. I've been probably more insecure after last year, and I don't know if that's just a feeling of: I've got more to lose, I have more people to disappoint. I don't know how to explain it." Being a very public figure in the age of internet scrutiny can’t be easy, but Lawrence has largely handled life in the public eye with serious poise. The actress’s full interview with Oprah — complete with her thoughts on the Harvey Weinstein scandal, how she imagined her career, and the future — can be found here.